Jay (Neil Maskell) is an undercover hitman living a cosy life with his wife, Shel (MyAnna Buring), and son, Sam (Harry Simpson), when he embarks upon a new assignment with his friend Gal (Michael Smiley), unaware of the dangers that lie ahead. Kill List is a difficult film to categorize. What starts off as a kitchen sink drama slowly yet brilliantly transcends into part dark comedy, part edgy thriller and part sinister horror. It’s an amalgamation of components that, on paper, sounds inconceivable, but, on screen, works in a charming, confounding and completely unexpected way. 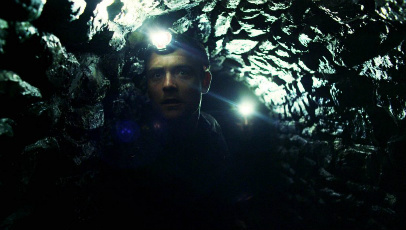 Its success can be attributed mainly to Ben Wheatley (who also proves himself a suitably capable director) and Amy Jump’s near perfect screenplay, an ambiguous soundtrack that amplifies the menacing undertones coming to a crescendo in the final act and authentic, well-mapped out characters, played with determination by a solid British cast. Buring and Maskell, in particular, inhabit their respective alter-egos in ways that audiences are able to emote with, despite the unsureness of the overall direction of the narrative. While its flaws are hardly inconspicuous (the ending veers too far into The Last Exorcism territory for its own good), it’s a bold, brave and terrific film that deserves a big audience. It’s a little bit brilliant, really.